This post is brought to you by Busch Gardens Tampa Bay. While this was a sponsored opportunity, all content and opinions expressed here are my own. I love to take my family to Busch Gardens Tampa Bay. I live in Florida and have two young children and this is one of our favorite theme parks. Busch Gardens Tampa Bay is a fun theme park for all ages. It’s educational and a good place to find outdoor active play too. 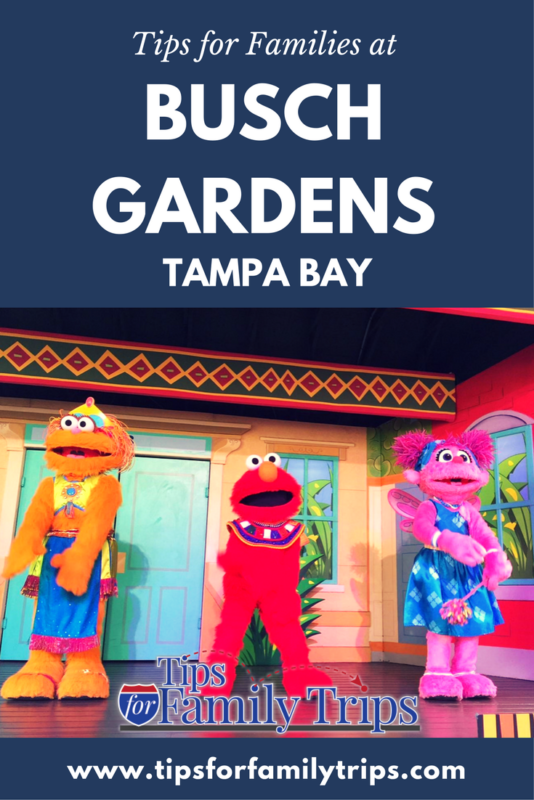 Here are some tips for making the most of your next family trip to Busch Gardens Tampa Bay. There are several shows that take place daily at Busch Gardens that you will not want to miss. Grab a map to check show times as soon as you walk in the park so that you can plan your rides around the show times. I like to start with Elmo Rocks! first thing in the morning while the kids are full of energy to really enjoy and participate in the singing and dancing. Planning the Turn It Up! ice skating show at the end of the day seems to work well too because it is inside and the location is toward the exit of the park. You can wait until you get into the Busch Gardens, but I recommend pre-purchasing this the All-Day Dining Deal online at www.buschgardens.com/tampa to save time and avoid waiting in a long line. The All-Day Dining Deal is a great deal if you plan to be at the theme park all day. You pay one price, one time and then eat all day at a number of participating restaurants. Once per hour you can go through the restaurant line and choose up to one entree, one side item or dessert and one beverage each time through the line. 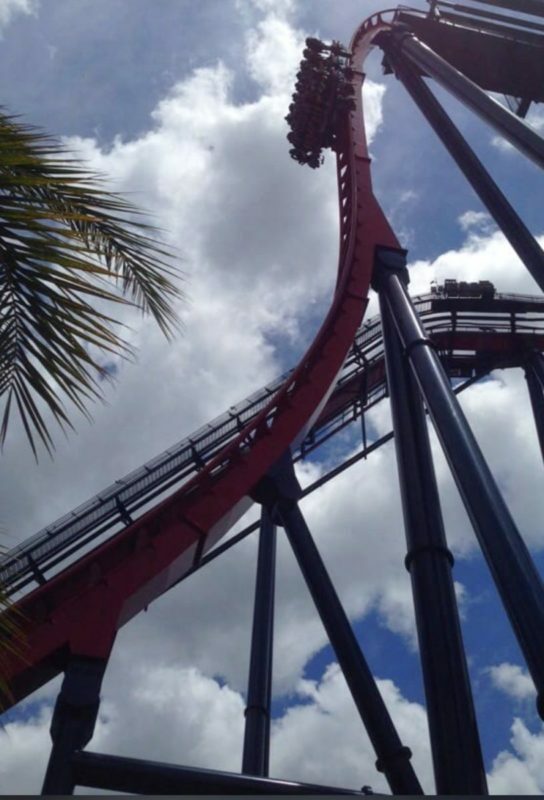 There are more than 15 thrill rides at Busch Gardens Tampa Bay but there is more to this theme park than just rides! We like to enjoy the animals almost as much as the roller coasters and shows. Flamingos, kangaroos, elephants and tigers…oh my! Watching the animals is a nice rest between rides, and it’s a fun learning experience. Most kids (and many adults) love to play on a playground. There are two play areas at Busch Gardens Tampa Bay that will provide hours of playtime fun. Kids and adults can climb through nets, walk across high bridges, crawl through tubes and wander around multi-level mazes. It’s a fun and active way for families to explore and play together. Busch Gardens is a theme park that all ages can enjoy over and over. As Florida residents, we like to take advantage of the Busch Gardens Tampa Bay Fun Card where you pay for one day and get to come back with unlimited admission to Busch Gardens the rest of the year with no blackout dates! Even if you are not a Florida resident this ticket is a great deal if you are in town for several days. If you are taking a Florida vacation you should also check out the SeaWorld Multi-Park Pass. This tickets lets you visit three Florida SeaWorld theme parks in any combination. It includes SeaWorld Orlando, Aquatica Orlando, Busch Gardens Tampa Bay and Adventure Island Tampa Bay. This ticket helps create a memorable and fun family vacation for the best price. Mandy blogs about her family travels at ACupful.com. She wants to inspire parents to explore with their kids! 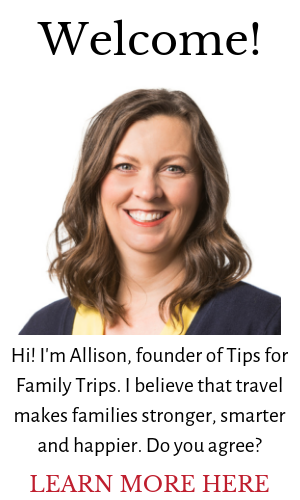 In addition to her favorite job of being the mother to two crazy little kids, she is the owner of a freelance marketing business, a family travel writer, and speaker. All images in this article are copyright by Mandy Carter. great for people travelling with kids. Very nice article. It has helped me. Thanks a lot for sharing this article with us.